Gunfleet Sailing Club’s Commodore Richard Walker welcomed members to the 55th Annual General Meeting in the Clubhouse last Sunday afternoon 3 December. He looked back over a year that had seen quite substantial improvements being carried out, including the purchase of beach mats, to assist the launching and recovery of boats, the amalgamation of the two dinghy enclosures to make a single, larger, compound, and the commencement of the programme to replace all the mild steel fence posts with more hardy stainless-steel ones. 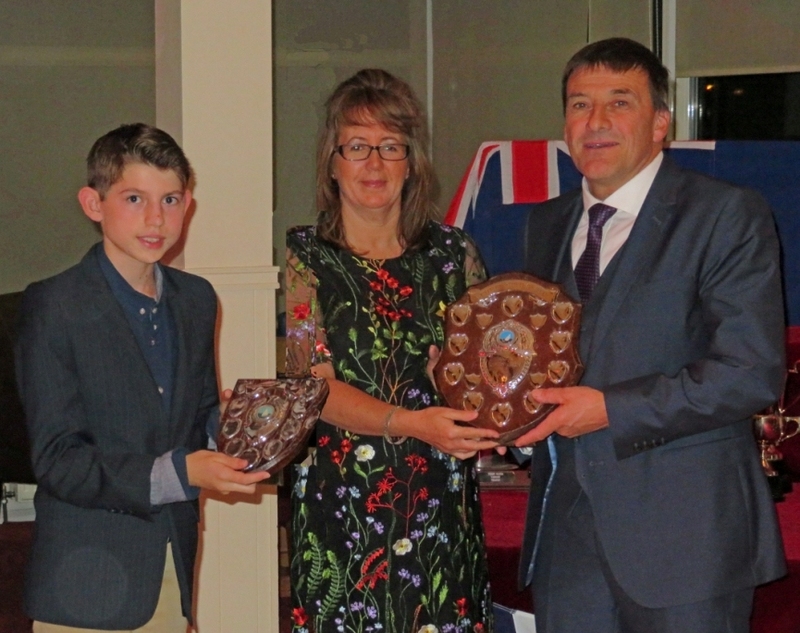 Gunfleet Sailing Club celebrated the end of the 2017 sailing season in style with its Laying-Up Dinner and Dance, along with the Presentation of Trophies, at Clacton on Sea Golf Club last Saturday evening. Club Commodore Richard Walker reflected on a successful season in this the Club’s 55th year of operation. There was a cold bight in the air for the fourth race in Gunfleet Sailing Club’s Winter Series last Sunday 5 November and Ken Potts once again had a convincing win in his Laser. 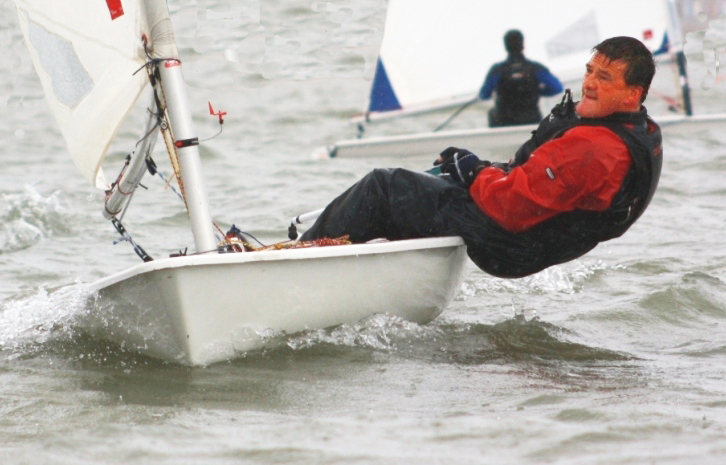 Gunfleet Sailing Club’ third race in its Winter Series, held last Sunday 29 October, saw the top places being dominated by the Laser fleet, with Ken Potts claiming his second win. The offshore wind, gusting up to force six at times, provided the usual mix of sudden gusts, equally sudden lulls, and unpredictable variations in its angle; every sailor’s nightmare. 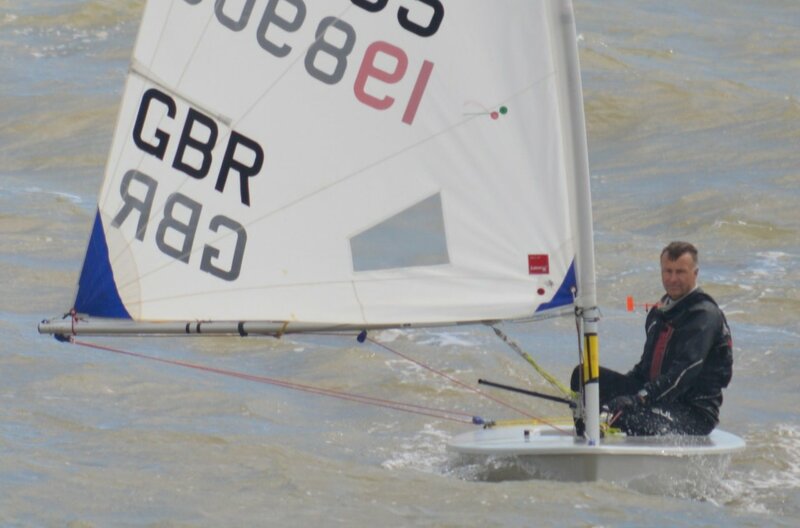 Gunfleet Sailing Club held the first race in its Winter Series in weather more reminiscent of a summer’s day and, under blue skies and warm sunshine, it was Ken Potts who took his Laser into first place. Gunfleet Sailing Club held the final race in its Autumn Series, last Sunday 8 October, gaining Andy Dunnett a first place in the race and victory overall. Gunfleet Sailing Club held the penultimate race in its Autumn Series last Sunday 24 September, resulting in a clear win for Ken Potts. Gunfleet Sailing Club held the second race in its Autumn Series on Sunday 17 September, with Andy Dunnett taking first place in his Laser. The strong wind warning forecast for the east coast did not deter ten boats taking part in Gunfleet Sailing Club’s first race in its Autumn Series last Sunday 10 September; John Tappenden gaining victory. Gunfleet Sailing Club played host to the Solution class dinghy National Championship last weekend, with visitors coming from as far as North and South Wales, Lancashire, Manchester, Lincoln, Stockport and North Shields. Gunfleet Sailing Club held its race for the Fleet Championship over the bank holiday weekend - 26 & 27 August 2017, with Jack and Elliot Berry claiming victory in their Fireball. Gunfleet Sailing Club’s members were on their toes last Sunday 20 August when they took part in the race for the oldest Club trophy - The Tee Dee Challenge Cup - due to the variable winds, both in direction and strength. Downer Does It Despite Course Deviation! The sailors of Gunfleet Sailing Club were joined by several members from Clacton Sailing Club on Sunday 13 August to take part in The Gunfleet Chase – an exciting pursuit race along the seafront, which was won by Peter Downer in his Comet. It was the turn of the female helms on Sunday 16 July when the Gunfleet Sailing Club held its race for the Austin Ladies Trophy. Gunfleet Sailing Club held the first race in its series for the Tony Chadd Trophy, on Wednesday evening 5 July, with Ken Potts claiming victory in his Laser.